We’re going to discuss each of these points in detail. Click on any of the links above to scroll to a particular section. Recency of giving: How recently has an individual made a charitable donation? Monetary contribution: How much has an individual given? On your own, you can review your list of existing donors and rank them according to each of these three dimensions (suggested scale of 1-100). For example, a prospect that has given the most money would receive a high score on the monetary contribution factor whereas a prospect that has given less money would receive a lower score. After every factor is sorted and rated, the three ratings are added up to make the RFM total. Thus, the closer to 300, the better your relationship is with that donor. If data is unavailable for one of the three fields, then the RFM total will be out of 200 (or 100). Please note – if you work with a prospect screening company then they should calculate each donor’s RFM score for you. Individuals who have made a gift of over $100k to a nonprofit are 32 times more likely to make a charitable donation elsewhere. Individuals who have made a gift of $50k – $100k to a nonprofit are 25 times more likely to make a charitable donation elsewhere. Individuals who have made a gift of $10k – $25k to a nonprofit are 10 times more likely to make a charitable donation elsewhere. Individuals who have made a gift of $5k – $10k to a nonprofit are 5 times more likely to make a charitable donation elsewhere. To determine giving to other nonprofits, DonorSearch uses its proprietary annual report philanthropy database, which is the second largest collection of charitable giving data and includes giving information no longer publicly available. Based on the analysis of charitable giving to over 400 nonprofits, a prospect’s participation as a foundation trustee or nonprofit director is a more powerful signal of future philanthropy than any wealth indicator. Why? These prospects understand the importance of philanthropy and the work nonprofits do because they have firsthand experience. When you make your fundraising case to them, they’re more inclined to understand where you’re coming from and where’d like to go better than any other prospect. Simply put, their ingrained knowledge of the fundraising world is a huge benefit to your cultivation process. Once you’ve successfully acquired a donation from them, there are more benefits to come. These prospects are valuable because of the connections they bring. Any given foundation trustee or board member is bound to have ties to the other members of their foundation or nonprofit board. And those other members can become high-quality future prospects, too! Any experienced major gift officer will tell you how difficult it can be to get your foot in the door with a high-quality prospect. Once you’ve developed relationships with a group of foundation trustees or board members, you can ask them to make introductions to other top-notch prospects. From there, the introduction cycle continues! An individual who has given at least $2,500 in his/her lifetime to federal political campaigns is 14 times more likely to give a philanthropic donation than someone who has not. An individual who has given at least $500 in his/her lifetime to federal political campaigns is 5 times more likely to give a philanthropic donation than someone who has not. The size of a prospect’s past political gifts can clue you in to the giving capacity of a particular candidate. Anyone who gives a political donation is clearly open to making a donation to a cause they feel passionate about. If you can strike a similar chord in your communications with those prospects, you’ll have a greater chance of securing a gift. When you’re ready to dive into the data on political giving, check out the FEC.gov database for a free treasure trove of records of political gifts. Learn more about the resource here! An individual that owns $1-2 million worth of real estate is 4 times more likely to give philanthropically than the average person. An individual that owns $750K – 1 million worth of real estate is 2 times more likely to give philanthropically than the average person. What does this tell us? This correlation between giving likelihood and property worth demonstrates one important fact. Real estate ownership is more than just a wealth marker; it’s a philanthropic indicator as well. Just like political giving, its predictive powers are two-fold. Plus, real estate ownership can be plugged into a larger formula that assists in calculating a donor’s total wealth, which, in turn, helps assess giving capacity scores. In short, real estate ownership is a wealth marker you can’t afford to look past. 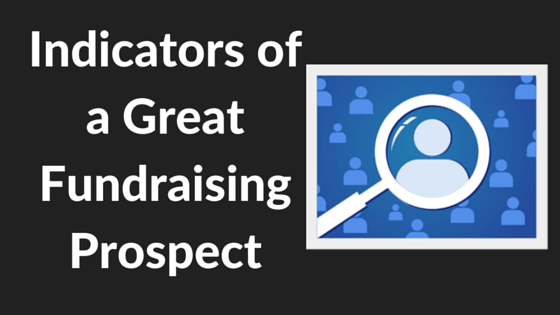 How can nonprofits uncover this information about their prospects?